FORGET ME NOT … ghost tour! FORGET ME NOT GHOST TOUR! 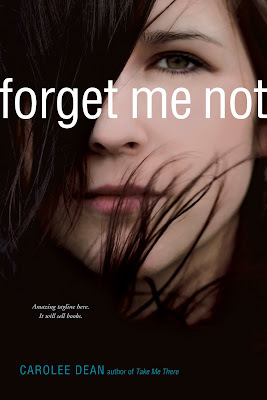 FORGET ME NOT is a paranormal verse novel exploring the story of a young girl, Ally Cassell, who makes a rash and desperate decision after being bullied and ostracized to the point of humiliation. She then finds herself vacillating between worlds with the ability to see ghosts. As she learns their stories, she realizes that suffering is a human phenomenon present throughout history. STOP 1, Kimberley’s Wanderings, visited the places around the school where different ghosts gravitate depending on how they met their end. STOP 2, Girls in the Stacks, was a ghost hunter video. The poem below explores the colorful history of the school. It was many things before it became a high school. A hundred years ago the school was a convent. is the reason the buildings have names like Sci-Tech. Simon Pulse, October 2, 2012 – Available Now!!! Elijah has spent time in that hallway too. He landed there after taking a whole bottle of sleeping pills. Now he can see ghosts, and he knows what Ally has yet to suspect—that she’s already half dead, and one choice away from never coming back. Elijah has loved Ally for years and would do anything to save her from the in-between place. But if she’s going to live, Ally must face her inner demons and find the will to save herself. Told in interwoven verse narratives, this crushingly honest and poetic exploration of pain and redemption will appeal to fans of Ellen Hopkins. 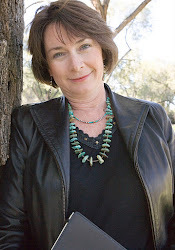 You can win the raven earrings and other cool prizes by visiting GHOST TOUR CENTRAL and going to the Rafflecopter contest at the bottom of that page. And don’t forget to read about the making of the book trailer and watch the video HERE. Interesting premise. A powerful trailer too. The book sounds wonderful! And I love the trailer. Good luck with the launch and the tour. I’m looking forward to reading this one.